The weekly illustrated journal The Graphic was founded in December 1869 by W.L. Thomas and soon became known for its social realism, especially through its engravings. 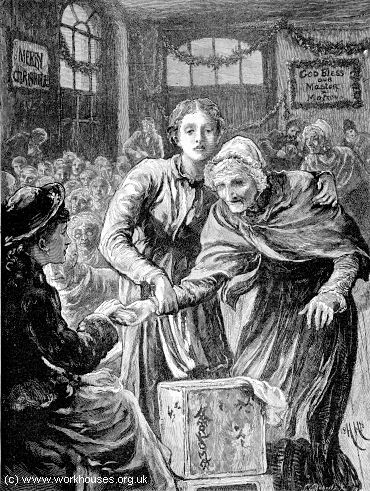 Its Christmas issue in 1876 included a drawing by Hubert von Herkomer entitled Christmas in a Workhouse with accompanying verses which illustrated the annual small gifts given to the "deserving" inmates — the elderly, the sick, and children.